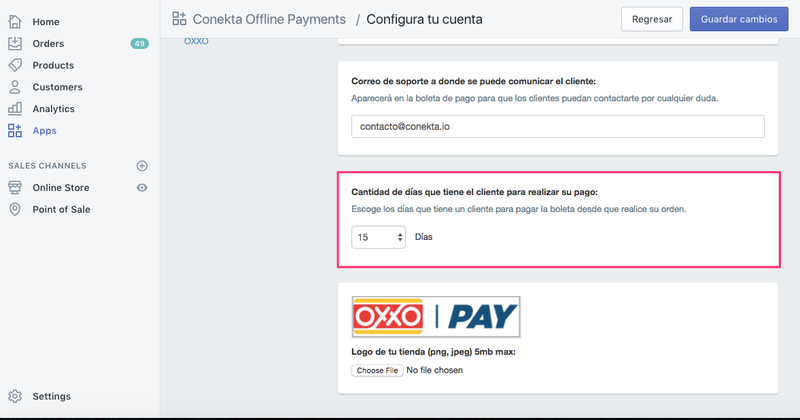 The default expiration date of an OXXO PAY payment is 30 days. To change this number go to the Apps section inside your Shopify Admin and select the app Conekta Offline Payments. Click on the button Configure My Account. 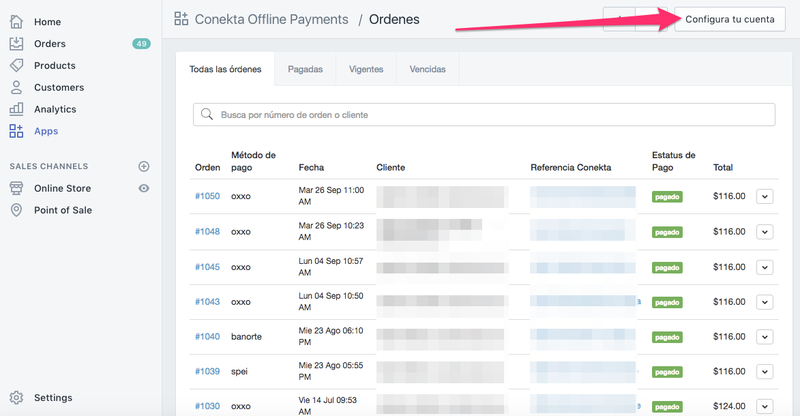 At the bottom of the page you can change the Quantity of days your client has to make their payment. Don't forget to save the changes so that they take effect!